What’s new regarding melanoma is the “new kid on the block” meaning the TIL therapy (Ref.4), which stands for therapy with tumor-infiltrating lymphocytes. This is a form of immunotherapy, which has been found to give cures in about 9% of previously incurable end stage melanomas. For further details click here: TIL story. Other newer therapies include the transfer of gene bits with the help of a “vector” virus such as the herpes simplex virus. “G47delta” is the strange name of one of such genes that can be introduced into the melanoma patient (gene therapy). The previously weak immune response of the patient with a melanoma is stregthened, and cytotoxic T lymphocytes are subsequently able to attack the melanoma (Ref.6). This type of research is still being researched at the Massachusetts General Hospital (Harvard Medical School), but it looks very encouraging. Historically, immune therapies have been investigated in melanoma treatments for several decades now. It started with vaccination against a tuberculosis vaccine, called BCG, which was introduced in the 1970’s and 1980’s. This line of research culminated recently in a cancer vaccine, called “CancerVax” (Ref.7). 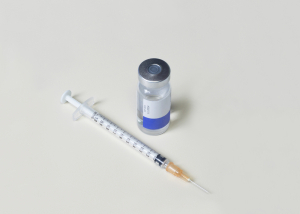 Initially, it appeared that with this vaccine it was possible following surgical removal of the melanoma to increase the survival rate with respect to “disease free melanoma patients” by 27% in a two year period and to increase the overall survival for these patients by 15% in the same period. However, as this link shows, larger trials could not repeat that finding and the vaccine production ceased. Unfortunately, the history of various cancer treatments are full of “miracle” cures. Not every one works out on the long run. The latest recommendation for melanoma treatment (thanks to www.cancer.org for this link) still recommends BCG injections for stage III of melanoma. For stage IV Ipilimumab (Yervoy), a newer immunotherapy drug was used, but due to side-effects it had to be discontinued.